Frequently during the spring wild turkey nesting season the South Carolina Department of Natural Resources (SCDNR) is contacted concerning wild turkey nests that appear to be abandoned. These inquiries often involve concern for the welfare of the nest and eggs along with a desire to take the eggs and attempt to hatch them, said Charles Ruth, SCDNR Wild Turkey Program coordinator. However, state law is clear on this subject and provides that it is unlawful to rob any wild turkey nest or to posses wild turkey eggs. In South Carolina nesting by wild turkeys typically begins in mid April and continues through May with most poults hatching by mid June following a 26 day incubation period. Hens typically lay one egg per day, therefore, it takes about two weeks for an entire clutch of eggs to be laid. Hens continue to roost in trees as normal while laying and do not begin continuous incubation until all egg laying is complete. That being the case, finding an unattended turkey nest is not uncommon. Perhaps the most frequent contact the department receives concerning this issue is from individuals who are cutting and bailing hay. Spring hay cutting typically occurs at the same time turkeys nest. Although hens are occasionally killed by the equipment, most frequently they are simply flushed from the nest which reveals the nest location to those involved in the haying process. Hens typically do not return to the nest because there is no cover left in the field once the hay is cut. Once again, concern for the welfare of the nest and eggs leads individuals to take the eggs and attempt to care for them. Laws prohibiting robbing turkey nests and possessing eggs are in place for a good reason, said Ruth. 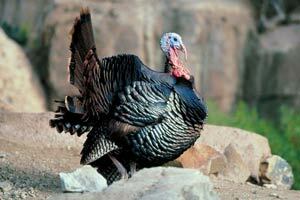 Wild turkeys that are hatched by humans lose virtually all of the instincts that allow them to survive in the wild. Additionally, many attempts to hatch eggs are for the purpose of raising the birds to be released in an effort to increase local turkey populations. However, not only do these pen-raised turkeys have poor survival, they are often comingled with other domestic fowl which may harbor diseases that could be detrimental to wild turkeys in the area if the pen-raised birds escape or are released. State law also prohibits the release of pen-raised turkeys into the wild, Ruth added. Another common question that SCDNR receives is related to purchasing “wild” strain turkeys offered for sale by many of the large mail order poultry hatcheries. 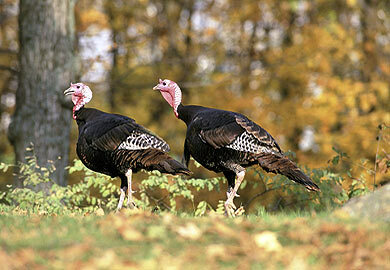 Ruth said that since it is unlawful to import into the state any wild turkey it is not legal to have these birds shipped to South Carolina. As is the case with many state wildlife agencies, SCDNR has contacted a number of these hatcheries and asked them to place South Carolina on the “no ship to” list in their advertisements. South Carolina is noted for having the purest strain of Eastern wild turkeys and this importation restriction is in place to protect the genetic integrity of our native birds, in addition to guarding against diseases that may be associated with hatchery birds. This importation restriction only pertains to wild turkeys or birds advertized as being from wild stock and not to domestic varieties of turkeys. There are approximately 50,000 spring turkey hunters in South Carolina and turkey hunting contributes approximately $40 million annually to the state’s economy.